Place a small ribbon of solution in the tray as directed in our office. DO NOT OVERFILL. Place the tray into mouth and press gently with fingers to seat the tray over teeth. If gel oozes out, remove excess gel from gums with an absorbent material such as a cotton swab, making sure to remove all gel from your gums. Wear tray 30 minutes to 1 hour per day. 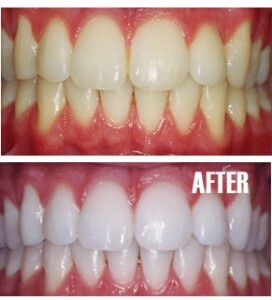 After removing the tray, brush your teeth and rinse the tray to remove any residual whitening gel. Avoid staining foods and drink for at least 2-3 hours. Store whitening solution in a cool, dry place (refrigerate for longest shelf life). As always, contact our office if you have any questions or concerns. * For best results, proper whitening requires consistency without interruption in the whitening process. Please contact our office if more solution is needed to get to the desired shade as soon as you are out. “Touch-ups” are not recommended or necessary until 1 year to 18 months after initial treatment if at all.